Box Dimensions (LxWxH)	11.0 x 6.0 x 6.0"
The EF 180mm f/3.5L Macro USM Lens from Canon is a high quality prime telephoto lens with 1:1 macro capability for sharp close-up photography. It is also ideal for portraiture and general telephoto shooting. An ultrasonic autofocus motor enables fast, smooth and quiet autofocus and manual focus override allows for precise manual focus, even in AF mode. 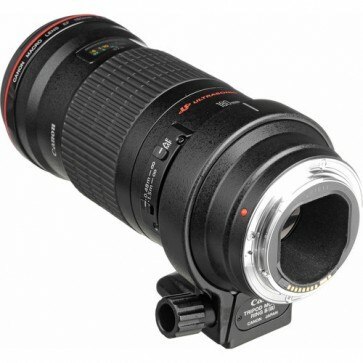 Its internal focusing feature does not cause the lens length to change or the front element to rotate during focusing, which is particularly important when shooting macro. Three UD-glass elements correct residual chromatic aberrations and provide overall sharp, high contrast imaging. 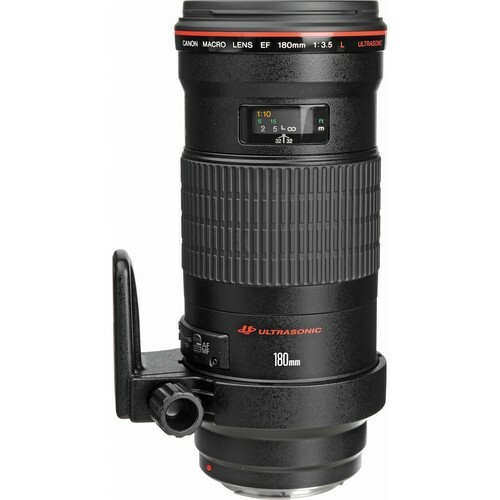 A telephoto prime lens ideal for shooting distant subjects, portraiture and, with 1:1 life-size magnification, macro close-up photography. Ultrasonic autofocus motor, inner focus system and floating lens elements enable fast, smooth and silent AF action. The front of the lens does not rotate or extend when focusing. Focusing distance range can be selected with a switch on the lens barrel. By setting a suitable focusing distance range, actual autofocus time can be shortened. The focusing ranges are 1.6'' to infinity and 4.9' to infinity. Manual focus override allows for precise manual focusing even in auto focus mode. This is particularly effective when shooting macro. 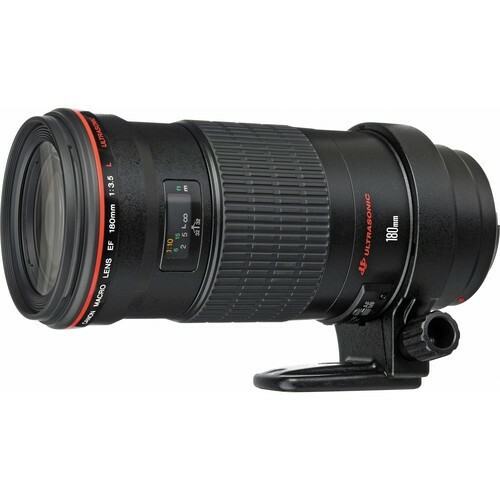 Features distance and depth-of-field scales on the lens barrel. A removable, rotatable tripod collar enables mounting the lens to a tripod in both horizontal and vertical orientations. Compatible with EF 1.4x II and EF 2x II Extenders.